Traditional Seven Planets in Relation to the Arts and Other Phenomenon from An Anthroposophical Perspective. As you may have noticed in my last post, I am listening to Steiner’s lectures on Agriculture. I do this in my car as I drive from place to place. This summer I listened to his lectures on The Arts and Their Mission, driving across the country with one of my students, refreshing my memory after years since I first read them. 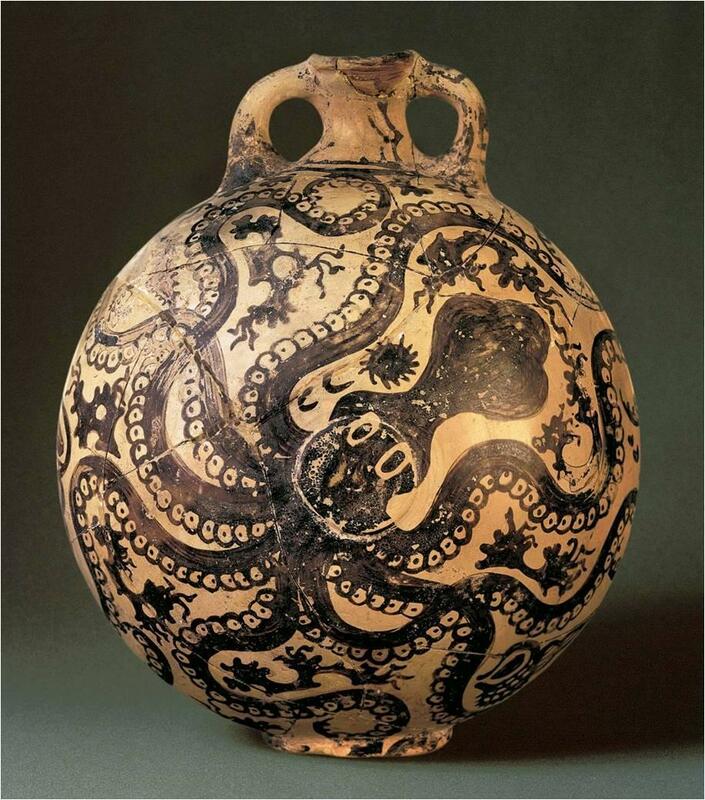 I am also trying to immerse myself in the chemistry of Ceramics from an Anthroposophical perspective. I also have a long standing interest in geometry, specifically using the seven pointed star, along with the Rose Cross, in meditative practice. 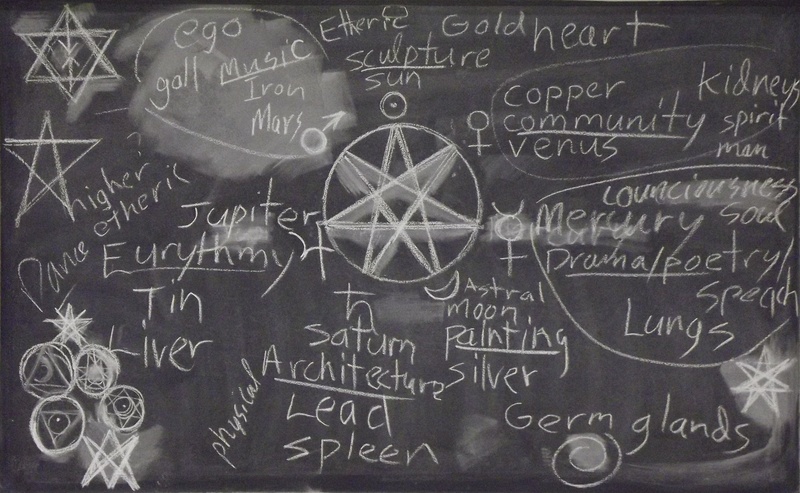 When I recently came across the configuration of the seven pointed star showing the relationship of the Arts to the traditional 7 planetary stages of Earth’s evolution, I thought it would be informative to combine an early blackboard study of the planets in relation to the metals and to bodily organs. Then I added in the stages of human spiritual evolutionary development.development. Colors and tones could also be added for contemplative use. 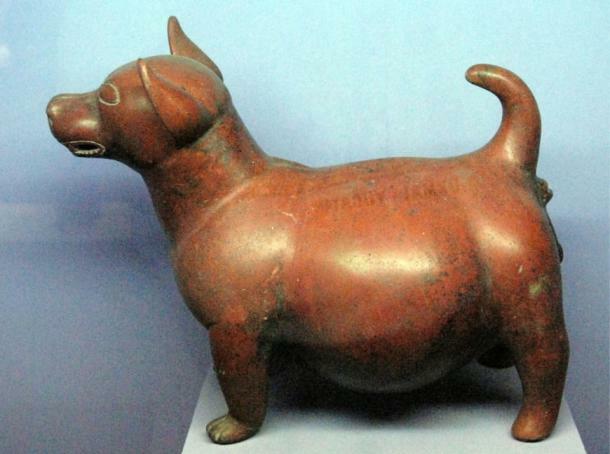 It gets to be a little crowded after a while and it is not intended to be a dogmatic tool. It is useful for me and a tool in my teaching. It is possible to teach Anthroposophical concepts in a state university setting without preaching and not be sanctioned. There is still academic freedom to some extent. The processes of Accountability and assessment which lock us into the computer and are relatively devoid of any creative part, are at a certain point counter productive. But that is a whole other subject. After having been involved with Anthroposophy for years, and having some familiarity with biodynamic farming, I am only just now listening to recordings of the agricultural lectures. 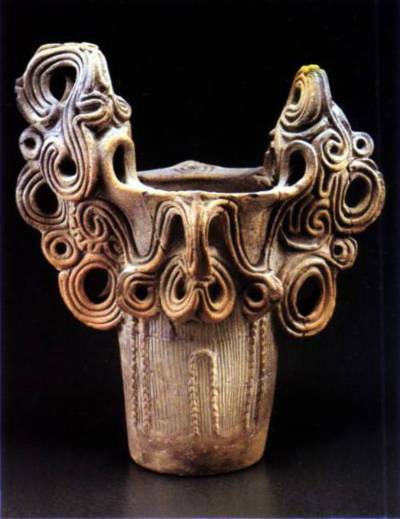 I have often thought that an anthroposophical practice could be developed and applied to ceramic art work, similar to the way it is applied to painting and the other arts, but also uniquely dealing with the mineral kingdom, and the nature of clay and clay materials. These lectures are a good starting point. Steiner’s discussions on lime, silica, and clay are extremely applicable. 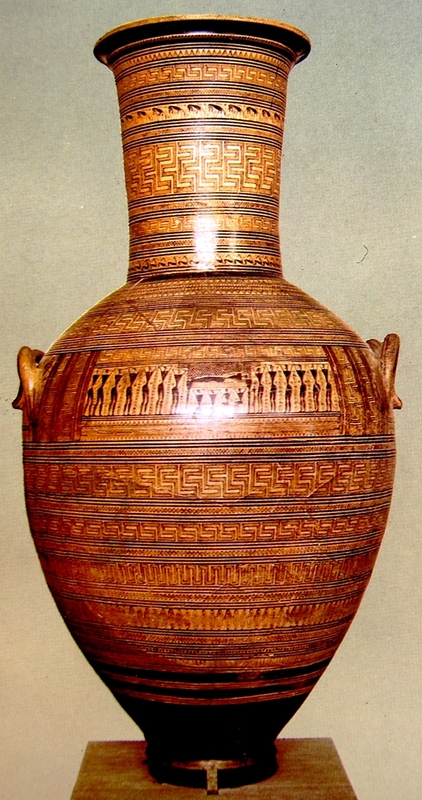 The finishing processes in ceramics deviate somewhat from the processes in agriculture, incorporating the element of fire and it’s trans-formative properties. So the question might arise: “How does a fired form still carry anything living into the world past the firing process, which essentially kills any potential for organic growth”. 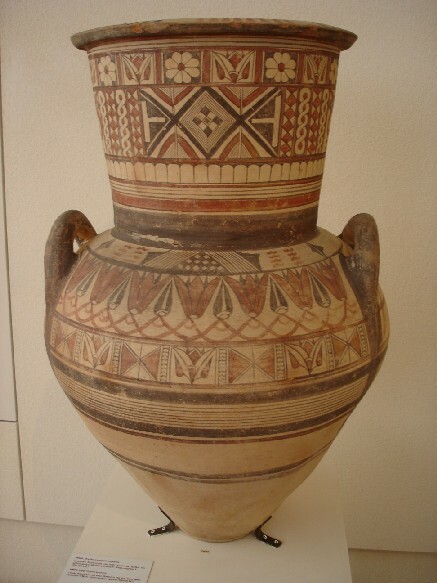 A simple explanation might be interpolated from the question: “What living qualities still exist in archaic ceramic forms from 1,000-10,000 years ago”. 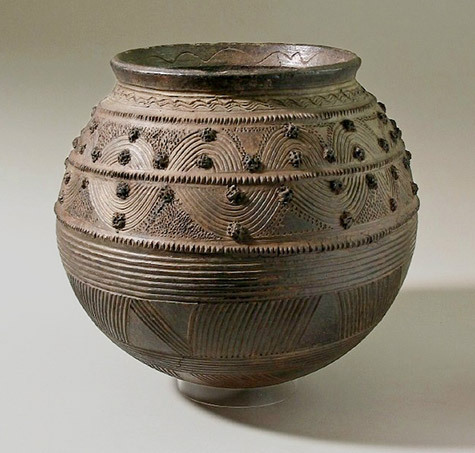 Objects from the past still seem to retain spiritual qualities inherent at the time of the making as well as from subsequent use and history. 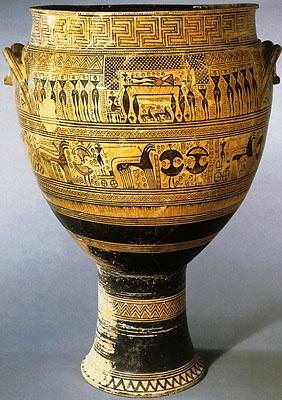 The object as vessel, whether purely sculptural or also functional, acts as both receiver and disseminator of cosmic and earthly spirit. 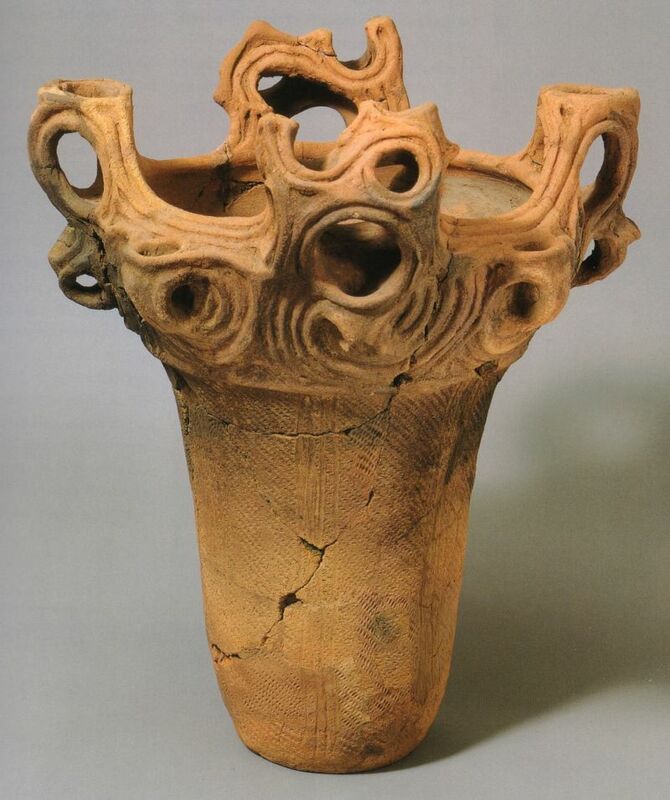 The maker, like the clay in soil, acts as facilitator and, to the extent they have developed their own spiritual existence, help determine the effect and spiritual nature of the object/vessel and sculptural form and as a mediator between matter and spirit. Artistic endeavor is, in this respect, a communicator across time. 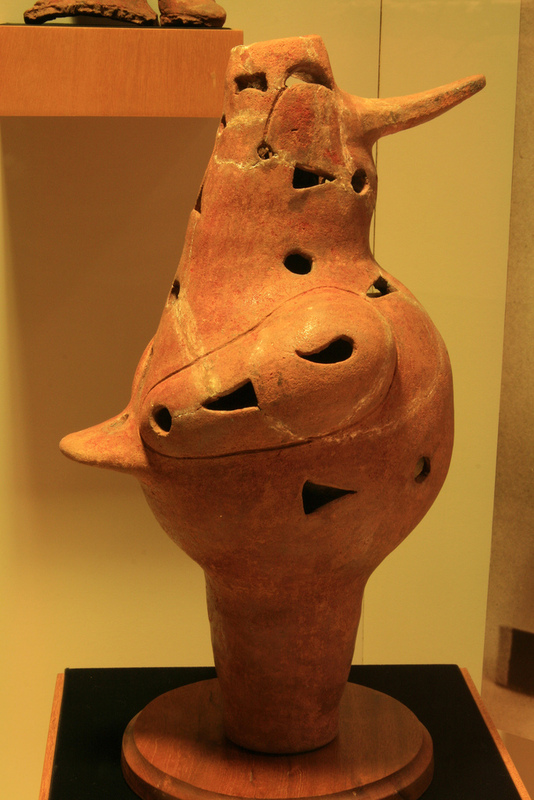 Clay rises up in the forming processes, lime and other fluxes flow downward into the spaces in the firing, both in glaze and in clay. 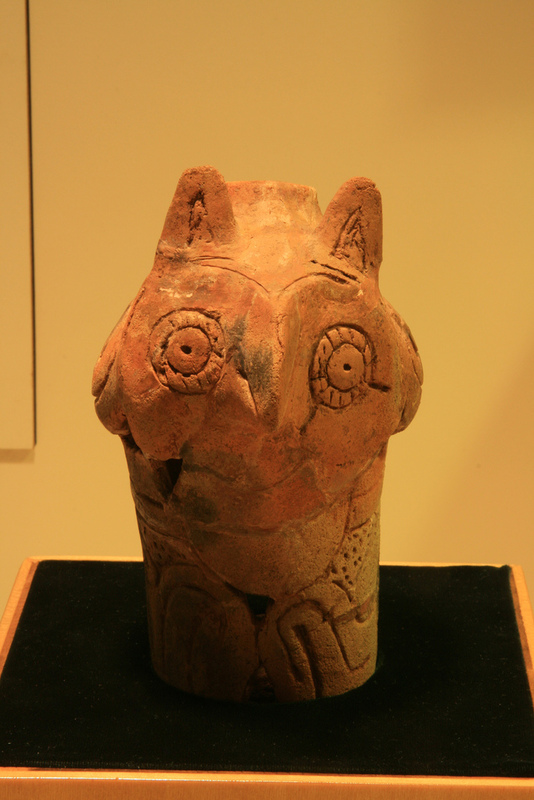 “Killing” the clay with fire leaves a spiritual space for giving and receiving spirit, similar to processes in the soil and in digestive processes in the human and animal kingdoms. 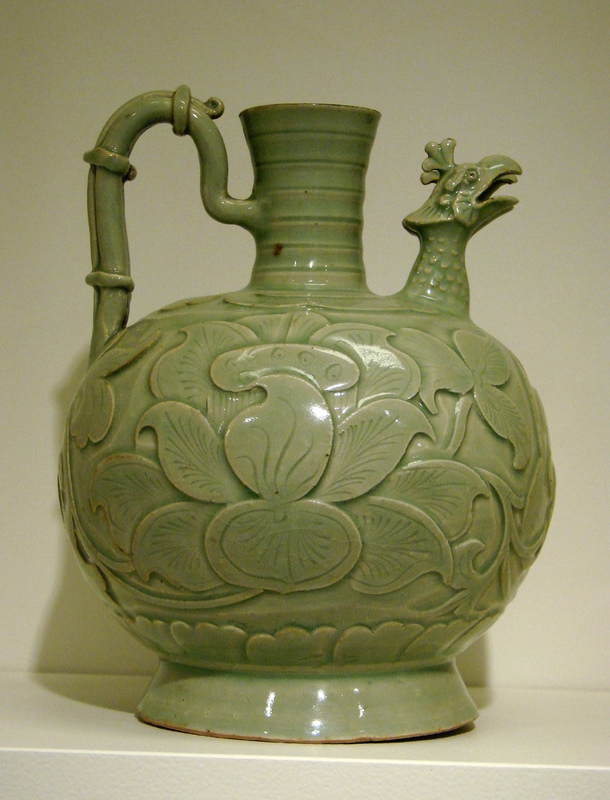 Song Dynasty celadon porcelain with a fenghuang spout, 10th century, China. 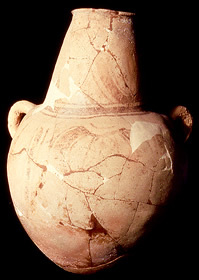 Water jar traded into the Rio Grande Delta area from the region of Tampico, Mexico.